Labeled "dyslexic and profoundly learning disabled," Jonathan Mooney was a short-bus rider—a derogatory term used for kids in special education. To learn how others had moved beyond labels, he bought his own short bus and set out cross-country, looking for kids who had dreamed up magical, beautiful ways to overcome the obstacles that separated them from the so-called normal world. Jonathan Mooney’s work has been featured in The New York Times, The Los Angeles Times, The Chicago Tribune, USA Today, HBO, NPR, ABC News, New York Magazine, The Washington Post, and The Boston Globe, and he continues to speak across the nation about neurological and physical diversity, inspiring those who live with differences and advocating for change. He has published two other books: The Short Bus and Learning Outside the Lines. 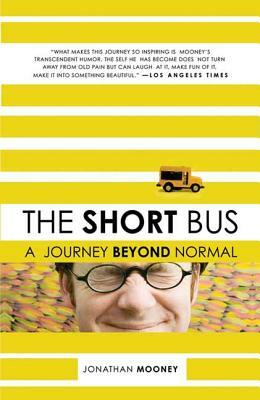 “The Short Bus is a wonderful ‘on the road' story that beats out even Kerouac's book. . . . Superbly written.” —John McKnight, author of The Careless Society.